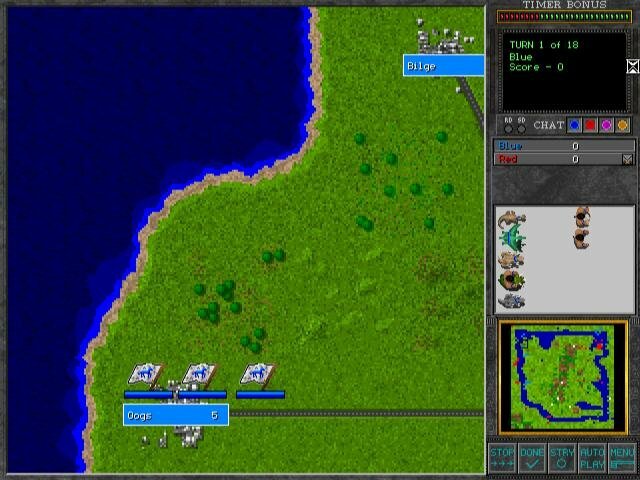 While Battle in Time’s most distinctive quality is its mix of units from different time periods with unique characteristics, what makes it a truly fine piece of gaming is the strategic-to-tactical warfare, which can be very hard to pull off. 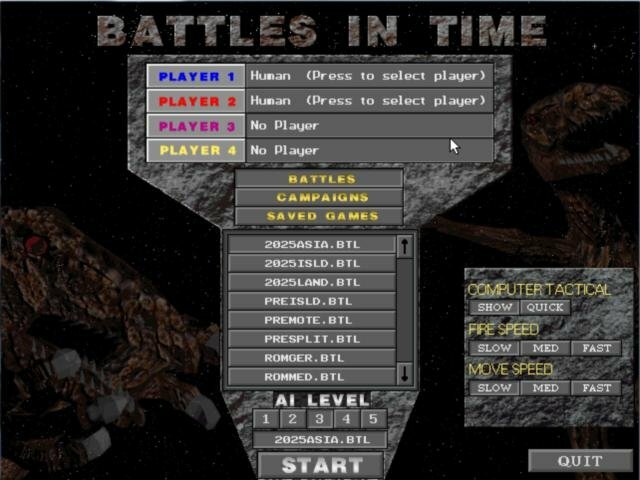 The basic gameplay of Battles in Time is handled through the use of a campaign mode, which sends you to each of the four time periods to acquire military units and fight a battle. 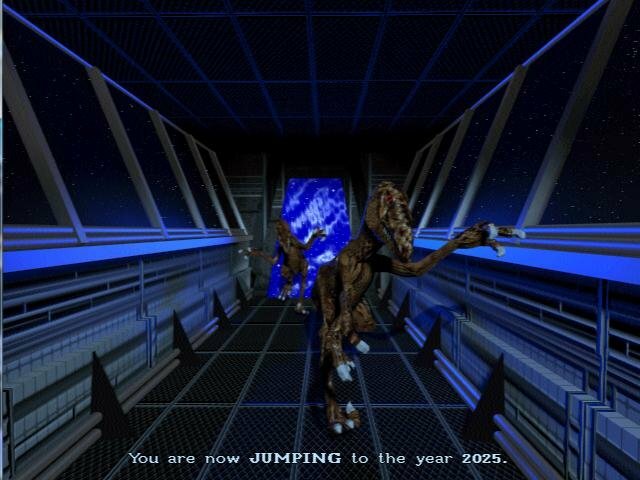 The order in which you’ll visit each time period will be random, but you will fight a full scenario in each era before you travel back to the future for a fifth major battle. 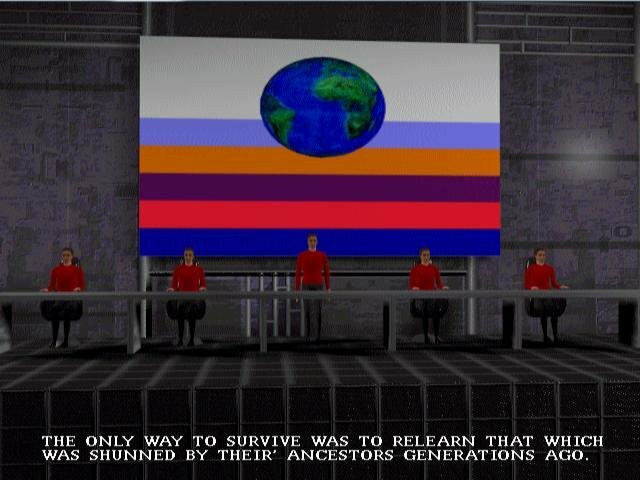 Here, you’ll mass the armies you’ve gathered in the previous eras in a confrontation with the aliens. To understand Battles in Time, you have to realize that it’s fought on two levels. 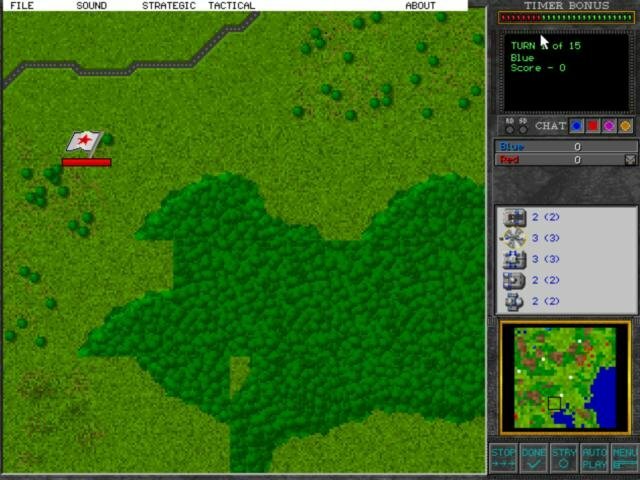 The first is a large-scale, strategic game in which two opponents (red and blue) move armies around. When armies meet, the game then zooms down to a close-up view of the battlefield, where the individual units of each army fight a close, tactical-level battle. 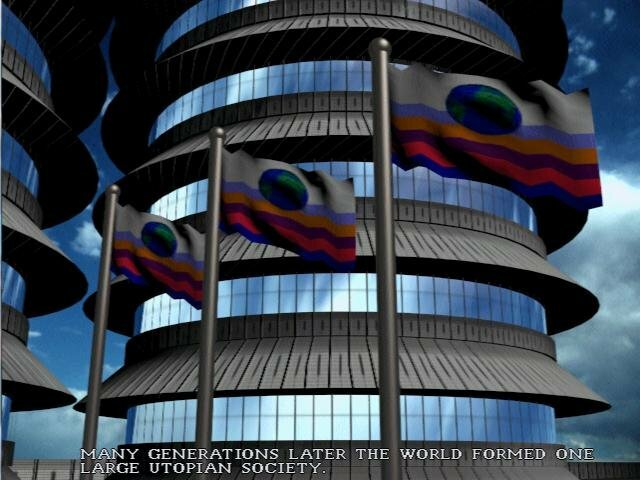 At the strategic level, BIT most resembles Empire, as you vie for possession of cities over a large space. Few games are done at this level, since they often don’t involve the tight, action-oriented play of more tactical games. What distinguishes BIT at this level is the structure of gameplay itself. Each turn is divided into several rounds, beginning with a replenishment phase, then continuing with movement and, if necessary, battle. 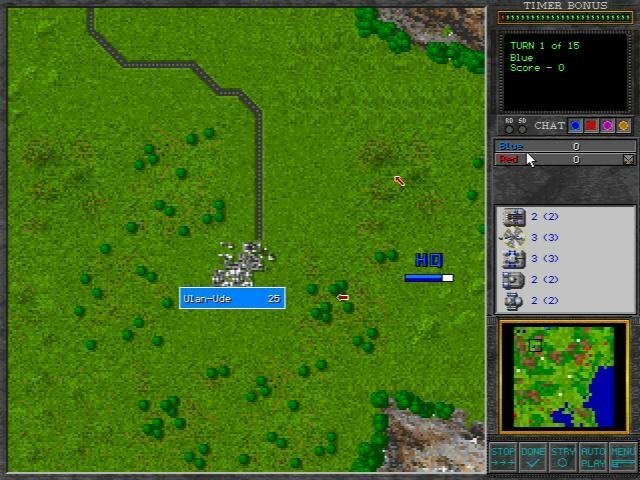 During replenishment, you use buy points to build armies comprised of a variety of individual units. The composition of these armies is up to you, as long as it is kept to twelve units or fewer. 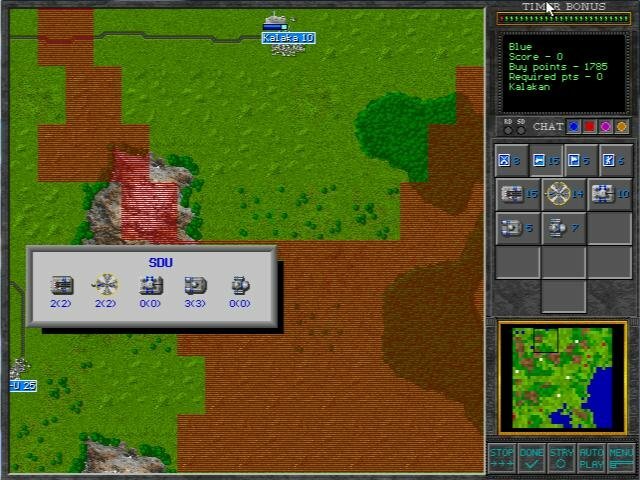 When opposing armies meet within a four-square block on this level, the game drops to a tactical map, showing a zoomed-in version of the battlefield – a lot like Heroes of Might and Magic. 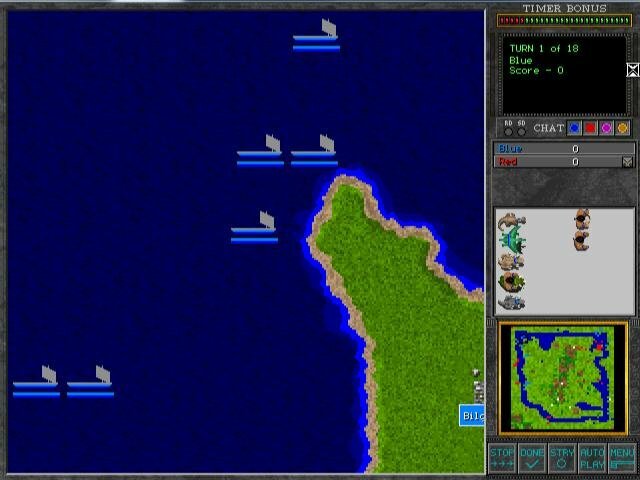 These maps are always sized to fit on a single screen, and can be skipped if you want to concentrate purely on the strategic game. 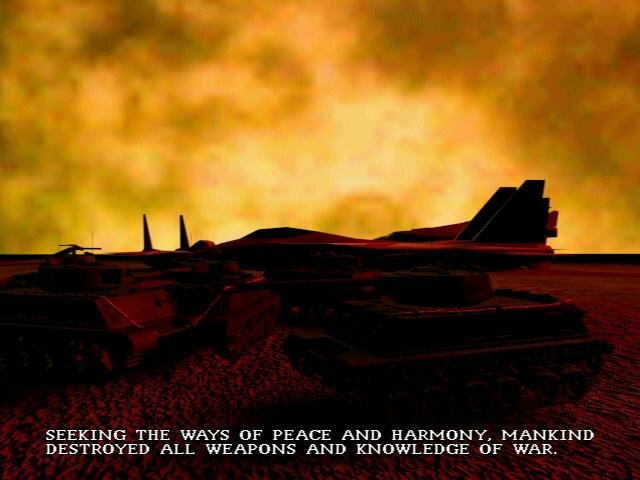 Despite the very bland graphics and sound, the variety and flexibility of Battles in Time gives way to infinite possibilities, with diverse levels of gameplay and many different arenas.